Boat Trader Magazine is the print companion to Boattrader.com. The magazine was launched in 1991 by Boat Group and has since welcomed a large readership and circulation in the United States. In 2006, Boat Group along with Boat Trader was purchased by Apax Partners, a British private equity firm with headquarters in London, England. In 2006, the magazine launched BoatTraderOnline.com, which published listings, blogs, and articles about buying and selling boats and other watercraft. In 2004, NADAguides.com helped BoatTraderOnline,com become an exclusive boat classifieds partner. A year later, BoatTraderOnline.com launched its sail boat companion website, SailBoatTraderOnline.com. In 2009, Boat Trader merged all three of its watercraft websites, including BoatTraderOnline.com, and YachtTraderOnline.com, into simply BoatTrader.com. In the process, Boat Trader also moved its readers into the digital world. It transformed itself into an entirely digital publication from its print format. In 2011, BoatTrader.com merged once more, this time with YachtWorld.com and Boats.com. The new website became operational under a new company called Dominion Marine Media. In 2017, Boat Trader Magazine moved its headquarters to Miami, Florida. 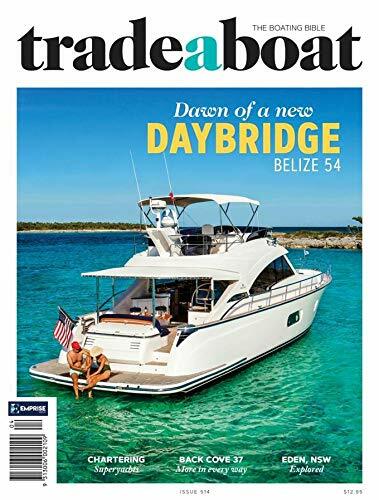 Boat Trader has established itself as the place for readers and boat enthusiasts to talk shop, buy and sell boats, and learn the latest trends in boating and other watercraft. After merging its print and digital platforms, Boat Trader has witnessed a surge in demand for online boat listings. On its website, patrons can use its ‘Find’ feature to locate the boat of their dreams. Patrons can filter their search results by Type, Make, Dealers, City, State, and Engines & Trailers. For patrons who are looking to sell their boats, Boat Trader makes it easy to do so with its ‘Sell Your Boat’ feature. There, patrons can target Boat Trader’s 5 million shoppers and receive up to 99% of the asking price. Patrons can also sell boat engines and trailers in addition to boats. Boat history reports are also available upon request at BoatHistoryReport.com. Boat Trader makes shipping boats easy through its partnership with uShip. Patrons can get free quotes on shipping and other useful information about boat and parts transportation. Boat Trader also has a dedicated team of customer service representatives to help patrons list their boats for sale. Another great feature of Boat Trader’s Water Blogged is its posts on boating. This is a general blog section for anything that has to do with boating. Readers can find information on the best boat apps, boat games, boat storage, boat wipeouts, spring break destinations, and much more. Some popular topics include boat maintenance, onboard tools, boat repair, boat sales, boat safety, inboard engines, marinized engines, boat parade, boat lights, boat decorations, binoculars, boat towing, powerboats, boat trailers, and the EZ Loader. Lenny Rudow is a Senior Editor of Boat Trader Magazine and Boats.com. Prior to joining Boat Trader, he was a freelance writer and a part-time editor, as well as an award-winning journalist. His work has been featured in Yacht World, Boatus Magazine, BDOutdoors.com, Boating Magazine, Sport Fishing, Yachting Magazine, Texas Fish & Game Magazine, and Sea Magazine. Lenny Rudow has written more than 1,000 reviews on boats. He has also written for more than 20 publications published both nationally and regionally. Gary Reich is a Senior Editor at Soundings Magazine and a contributing writer for Boats.com and Boat Trader Magazine. Prior to working for Soundings Magazine, he worked as a senior writer at Anglers Journal, a principal at Force Ten Communications, an editor at PropTalk Magazine, and a managing editor at Waterway Guide. Gary Reich is a professional writer with 15 years of experience writing in areas of boating, the environment, marine hobbies, and the outdoors. He has won numerous awards for his contributions and writing throughout his career. His work has been featured in Anglers Journal, PassageMaker, Chesapeake Bay, Lakeland Boating, and Salt Water Sportsman magazines. Gary Reich specializes in writing and editing for digital and print publications. He has in-depth knowledge of SEO, social media, and content management. He is a graduate of Communications at the University of Baltimore. Doug Logan is a Senior Editor at YachtWorld.com. He has worked there since 2018. 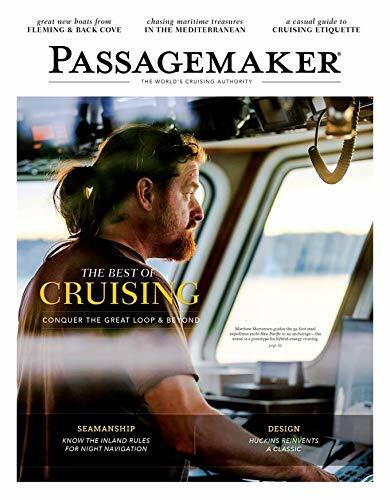 Prior to joining YachtWorld.com, Doug was the editor-in-chief at Practical Sailor. He has also worked as a managing editor and technical editor at Sailing World. He has also served as webmaster for Sailing World and Cruising World. He was the contributing editor for Powerboat Reports. Doug Logan has had a prolific career in print journalism; he has edited numerous books about boats and the sea. Charles Plueddeman is a Contributor and Columnist for Boating Magazine, He is also the Outboard Expert for Boats.com, and an occasional contributor for other publications, including MSN.com autos and McMurry. His work has been featured in Boating Magazine, Sport Fishing, and Power and Motoryacht. At Boats.com, he has written features and blog posts about boat reviews and marine technology news. Charles has worked at Boating Magazine for 31 years and counting. He began his career there as an associate editor and features editor before taking on the role of an editor at large. He specializes in writing about trailerable boats, marine engine technology, PWC, towing, and propeller application. In addition to writing for Boating Magazine and Boats.com, Charles works as a contract employee/supplier for Harley Davidson Motor Company, where he writes a variety of product communications. He is a journalism graduate of the University of Wisconsin-Oshkosh. 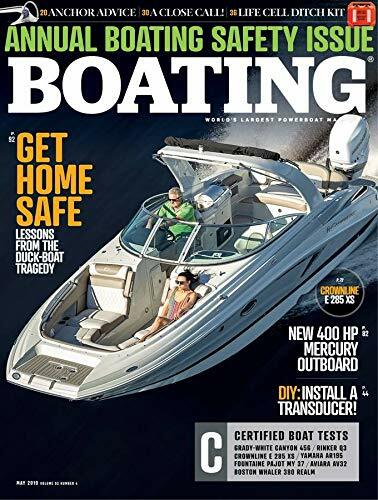 Boat Trader Magazine and Boattrader.com are your one-stop shop for buying and selling boats and parts, plus all the resources you need to take care of your boats. The magazine and website are approachable even for novices, and enthusiasts will find the content refreshing in the world of recycled information.